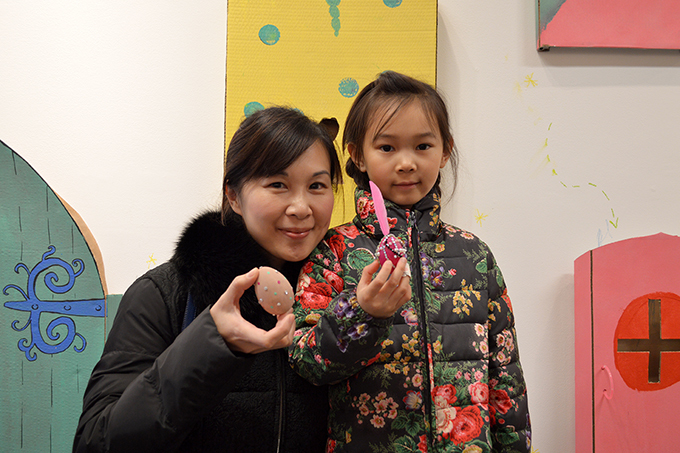 From January 25 to 29, 2017, we celebrated Family Literacy Week with a special series of school and family workshops we called Fairy Tale Forts. Our monthly ArtStarts on Saturdays and ArtStarts at River Market family events also showed our love for all things literary. 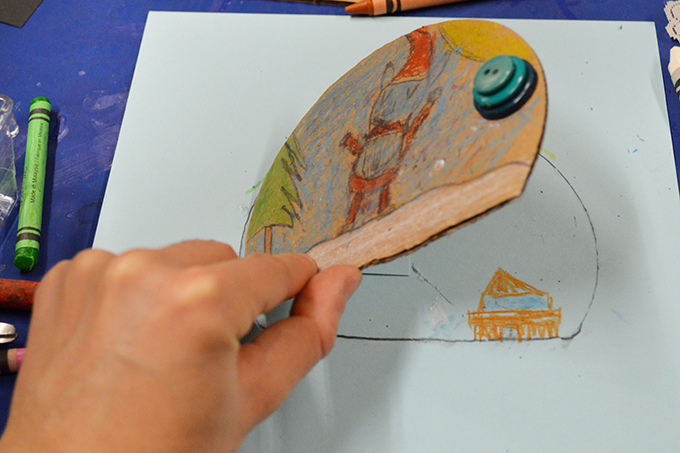 It was a wonderful week celebrating the amazing world of imagination that emerges from reading and writing. 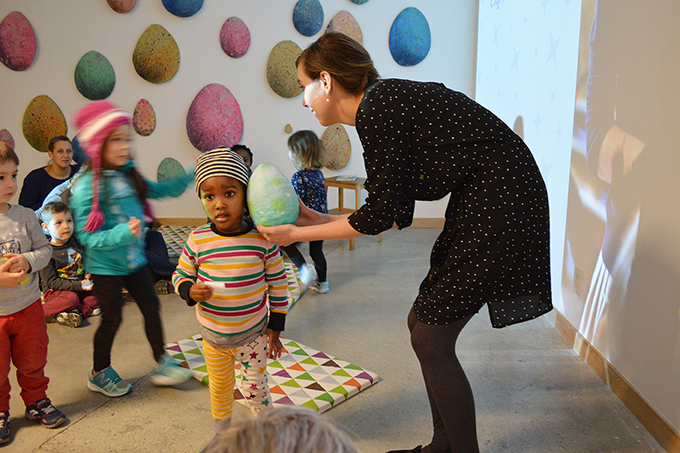 During the week, we welcomed school groups from Elsie Roy Elementary, Lord Roberts Elementary and a child care group from Atelier Children's Centre, who joined us for various storytelling and storymaking workshops at the ArtStarts Gallery. 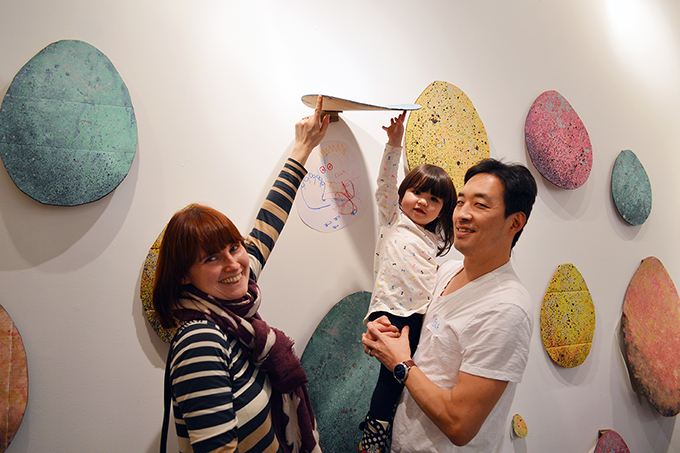 These young and eager visitors activated our space with their wild imaginations. They interacted with our very first pop-up installation, which was inspired by the different picture books by Canadian authors we presented throughout the week: The Night Gardener by Terry and Eric Fan, Doors in the Air by David Weale and Pierre Pratt, and Imagine a Night by Sarah L Thomson and Rob Gonsalves. 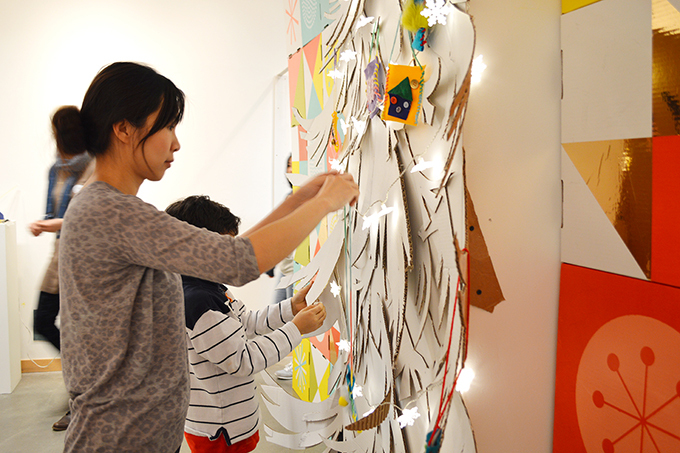 The colourful boxes that formed the back wall of our pop-up space were created for Kidsbooks by Sara Gillingham Studio and were kindly donated to ArtStarts for our 2017 Family Literacy Week events. 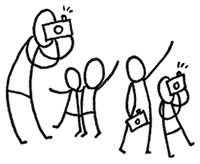 Each book was read aloud, with images projected on a big screen, and kids were actively involved with the story as it unfolded, asking lots of questions, making predictions about what would happen next, and sharing their ideas. With our minds and imaginations warmed up, we then got our hands busy, too, with creative activities inspired by the stories. 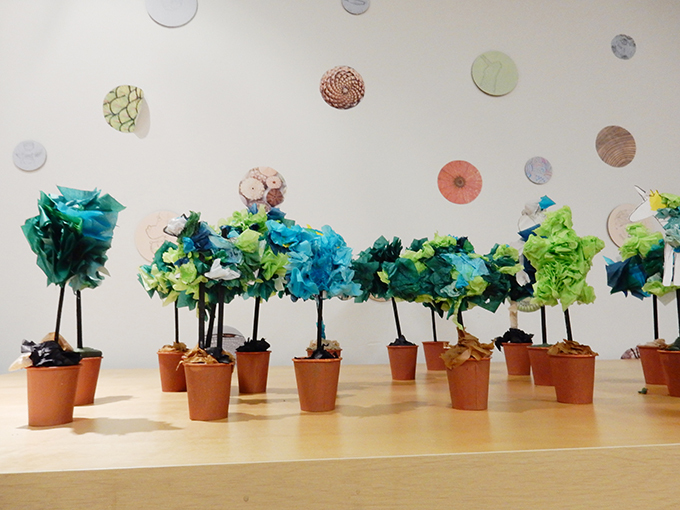 Young artists built miniature tissue paper topiaries. 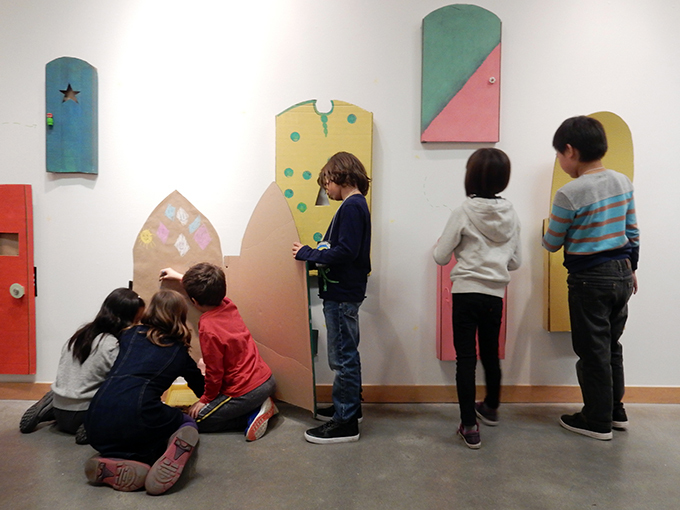 They made colourful drawings of imaginary worlds on our wall of interactive of doors. 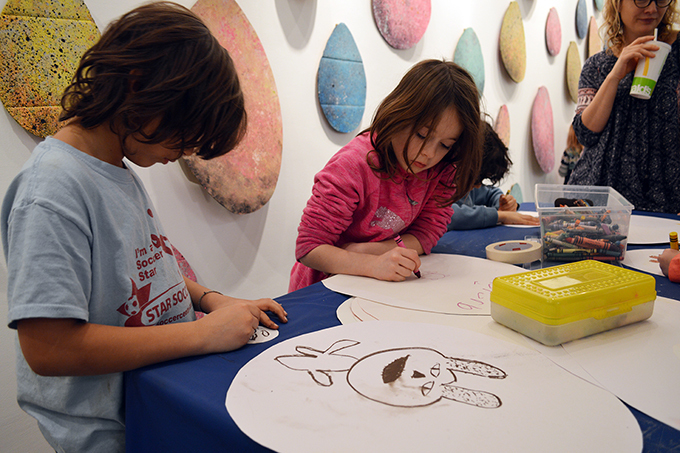 They became experts on magical animals, drawing winged cats and other mystical creatures like flying unicorns, dragons and gryphons on our wall of enchanted eggs. 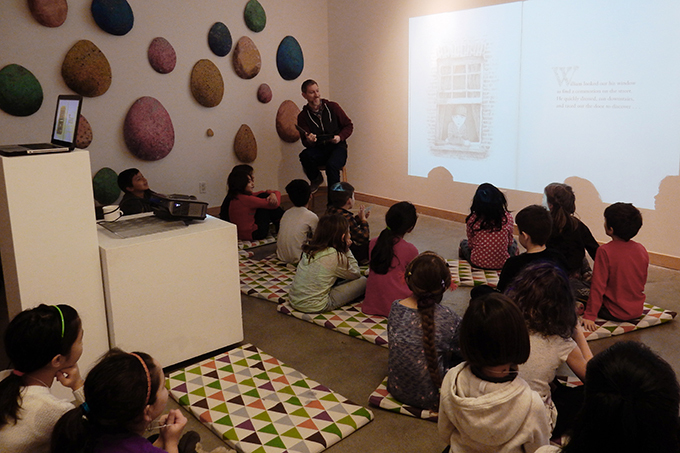 On Sunday, kids and families heard the story, The Wishing Tree by Kyo Maclear and Chris Turnham. 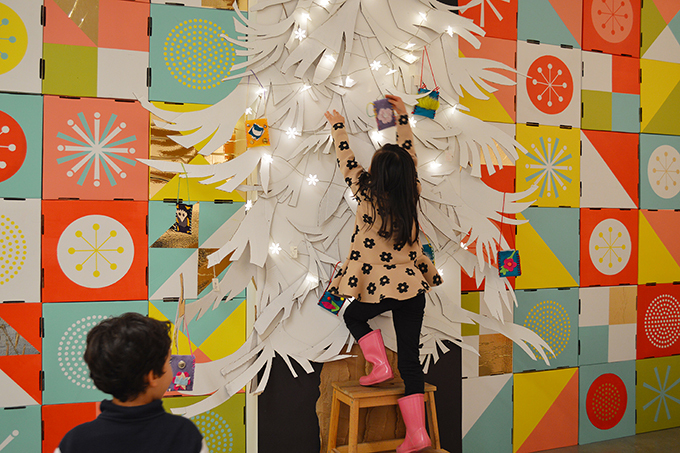 They then created their felt pouches to hang their own wish on the gallery’s wishing tree. 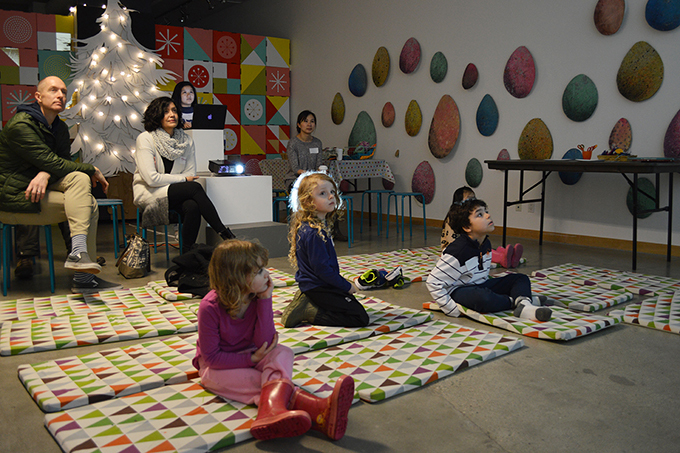 Kids considered how Charles' journey to find the wishing tree came to fruition with the help of little animals (and by helping them). Everyone made more wishes on tags for all the people in their lives who have helped them. 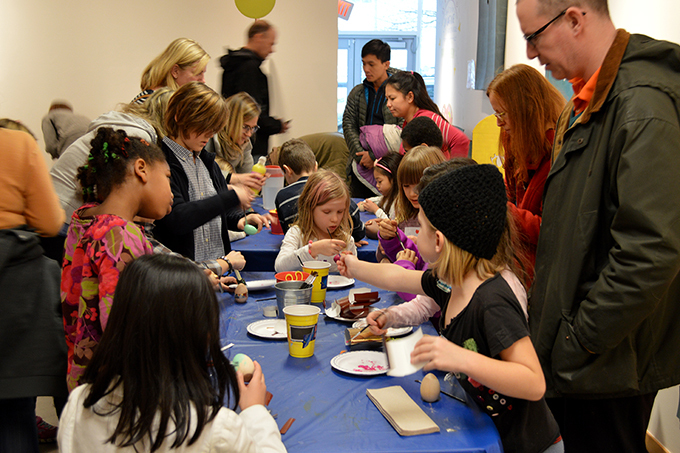 Over the weekend, we held our monthly ArtStarts on Saturdays and ArtStarts at River Market family events. 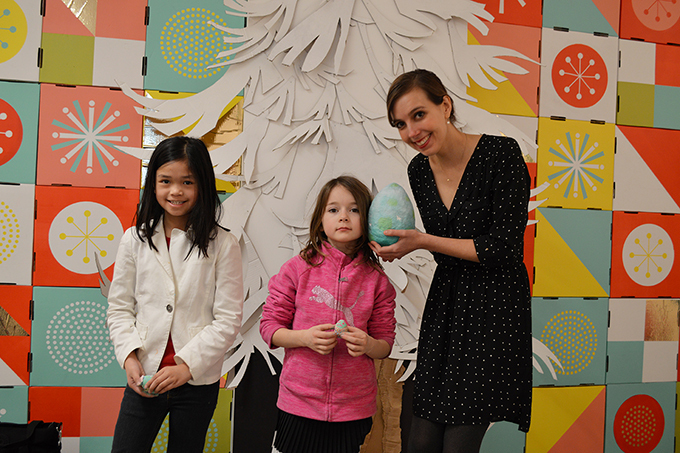 This month we were treated to Magical Stories and Enchanted Eggs with author Kallie George. Kallie shared how her passion for writing started when she was very young. She wrote her first book in Grade 2, called Santa and The Bubble Gum, where Santa gets bubble gum stuck in his brain and puts soap in his ear to clear it. Another one of her early books, The Romatic Reindeer, had incorrect spelling right in the title, but she explained that even though she wasn't the best speller, she still achieved her dreams and became a published author of many books. 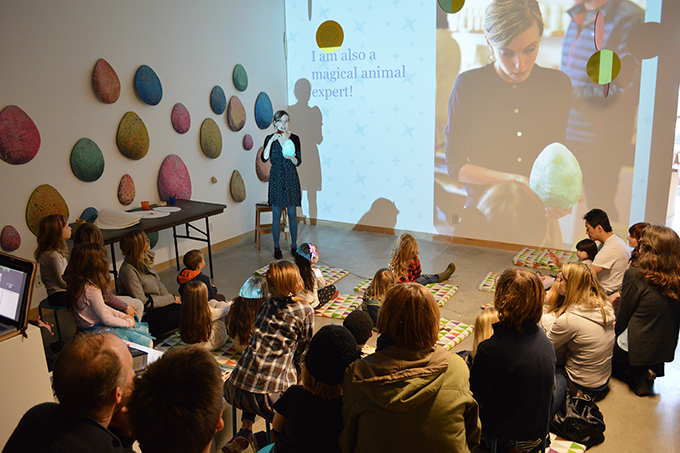 Kallie then read part of her book, which inspired everyone to draw their own magical creatures and hide them in the eggs on the gallery walls. 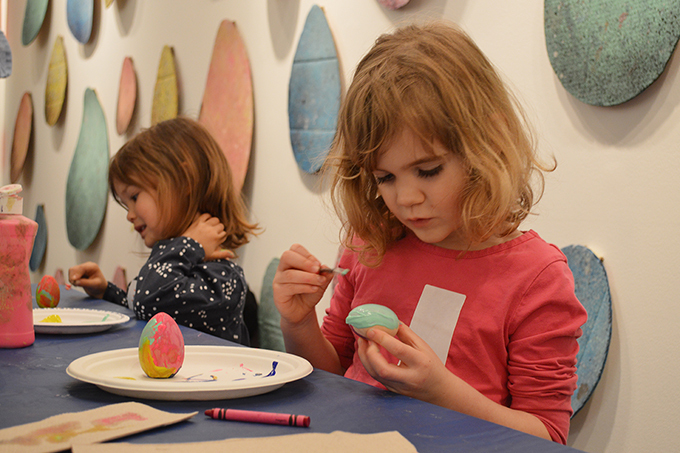 To round off the workshop, kids painted and decorated their own magical eggs to take home… maybe one day they will hatch! Thanks to Westminster Savings for generously supporting ArtStarts at River Market. Check out lots more pics from both ArtStarts on Saturdays and ArtStarts at River Market on Facebook. Join us again very soon, over the BC Family Day long weekend! 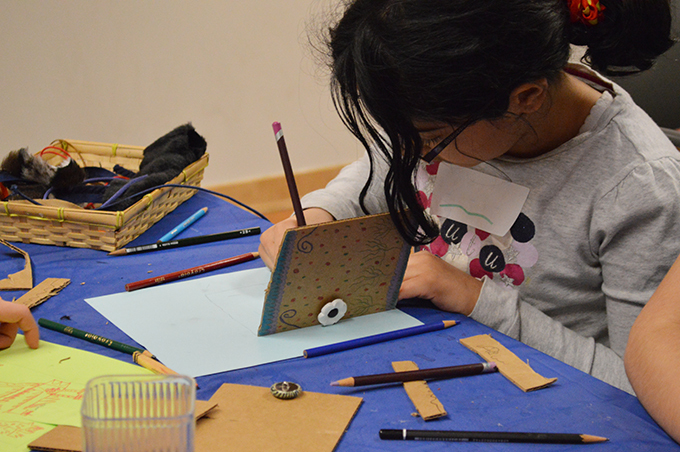 We are thrilled to partner with the Museum of Anthropology to co-present workshops at the ArtStarts Gallery on Saturday, February 11 and events at MOA on Sunday, February 12. Get all the details here! We'll also see you at the end of the month for a performance/workshop with the fabulously foolish Sand Northrup, One Woman Circus! 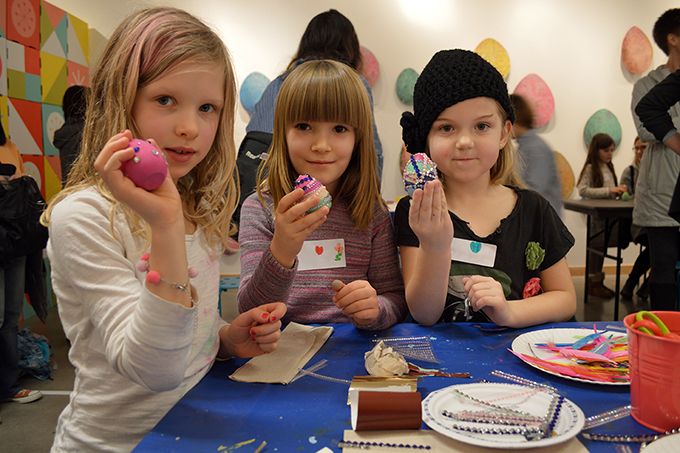 Join us at ArtStarts on Saturdays at the ArtStarts Gallery in Vancouver on Saturday, February 25 or at ArtStarts at River Market in New Westminster on Sunday, February 26. Learn more.